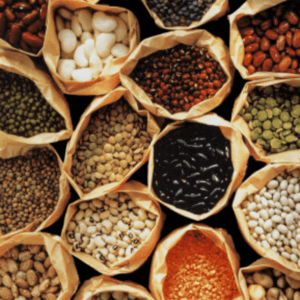 Biofortification: Is it the next ‘Green Revolution’ for more nutritious food? Now, plant breeders and biotechnologists are working on a new Green Revolution to make crops produce more nutrients, a process called biofortification. Examples include an orange ‘super banana’ genetically engineered to produce elevated levels of beta-carotene; pearl millet bred to contain large amounts of zinc and iron; beta-carotene-enriched cassava released in Nigeria; and iron-fortified beans in Rwanda. Some 870 million suffer from hunger, but almost a third of the world’s population still does not get enough essential nutrients and suffers from hidden hunger, according to the Food and Agriculture Organization of the United Nations. Hidden hunger is more prevalent in poorer countries in Asia and Africa, but it also exists in wealthy countries like the US. “Many Americans can get enough calories, but not enough nutrients,” said Mary Lee Chin, a registered dietician. Nutrition is a complex issue, Chin says, and there are many factors that can contribute to malnutrition. In wealthy countries, staple foods that are consumed regularly are fortified with vitamins and micronutrients in order to provide people with enough nutrition. Some common examples include fortifying milk and orange juice with vitamin D and bread with folate, an important nutrient for fetal neurological development. But because of poor food choices or lifestyle habits, many Americans still do not get enough calcium, vitamin D and potassium, according to Chin. 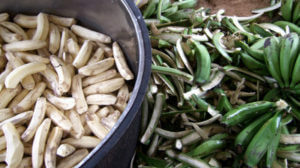 In poor countries, many people don’t have access to such large varieties of food and instead rely on one or two staples. In many parts of Asia, the staple is rice; in African countries, it’s tubers like cassava or fruit like cooking bananas. These staple foods fill people’s bellies, but they often do not have enough essential vitamins and micronutrients. Two billion people in the world are anemic because they do not get enough iron, according to Chin, and children under the age of five who don’t have enough vitamin A and live in places that are susceptible to diseases are ten times more likely to die from diarrhea or pneumonia. Many nutritional deficiencies are complex problems, but vitamin A deficiency worldwide had been identified as a “simple” problem with a “simple” answer. In 1992, scientists from John Hopkins University calculated that 1.3 to 2.5 million deaths among infants and preschoolers could be prevented every year if they just received enough vitamin A; no other nutritional interventions or improvements were needed. Problems like vitamin A deficiency are easily fixed in wealthy countries, where supplementation or fortification of foods is relatively inexpensive, but in poor countries where people live in remote, rural areas, supplementation programs can be expensive and difficult to sustain. This is where biofortification of staple crops comes in. 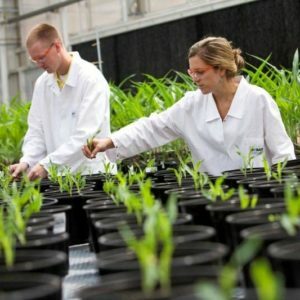 Scientists working on crop biofortification have to select their crops carefully. “There has to be a cultural acceptance of food,” Chin said. That’s why one of the most well-known biofortification projects, Golden Rice, has focused on rice: a staple food for half of the world’s population and especially in regions where vitamin A deficiency is endemic. Researchers at the Queensland University of Technology in Brisbane, Australia, chose to work on increasing beta-carotene levels in cooking bananas for the same reason: because they are already commonly eaten and well-accepted in Uganda. HarvestPlus, a food aid organization, selected seven staple food crops to work on, including beans for Rwanda, pearl millet for India and cassava for Nigeria. Recipients of the biofortified seeds have always planted and depended on those crops. By improving the nutritional content of the same staple crops that they already consume rather than providing supplementation, researchers have likened the idea of crop biofortification to the old “teaching a man to fish” adage. Golden Rice “can be planted by the farmers using seeds from their own harvest and that would provide sustained supply of beta-carotene,” Antonio A. Alfonso, the Golden Rice project leader at the Philippine Rice Research Institute said. Crops can be improved to produce higher levels of certain desired nutrients by manipulating their genetic makeups. This can be done through conventional plant breeding or genetic engineering. Plant breeding methods involve testing many wild relatives of a domesticated crop for a certain nutrient, selecting the ones that contain higher levels of that nutrient and crossing those wild relatives with the domesticated crop. The crossings can remove desired qualities of the domesticated crop, such as edibility (many wild relatives are inedible), appeal and yield. Because of that, it often takes a long time for crops to be biofortified using this method. Genetic engineering is more precise and involves isolating individual genes from the wild relatives of a domesticated crop or other species that code for increased production of certain nutrients and transferring them into the plant. It is also possible for different genes coding for increased levels of different nutrients to be “stacked” in a crop using genetic engineering methods, so that a crop can be biofortified with more than one desired nutrient. 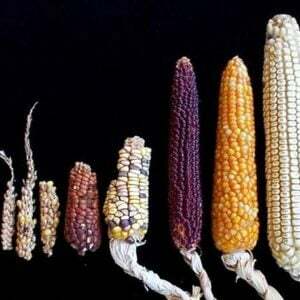 Traditionally, plant breeders have bred for size, visual appeal and yield in their crops, often neglecting or sometimes unintentionally removing qualities such as flavor and nutrients, according to Kevin Folta, professor of horticulture at the University of Florida. Crop biofortification is much more expensive and time-consuming through plant breeding, although techniques like marker-assisted selection have dramatically reduced the time and resources required for plant breeding. “Imagine screening tens of thousands of plants for levels of different nutrients,” said Folta. 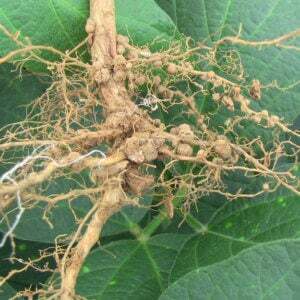 There are also other ways that manipulating genetics can improve crop nutrition. Many fruits and vegetables lose nutritional value as they are bruised or improperly handled and stored, according to Chin. “Handling fresh produce correctly every step of the way, from producer to consumer, makes a difference in preserving the nutrients,” said Chin. To address that, fruits and vegetables can be genetically modified to be more robust, less susceptible to bruising or to have longer shelf lives. 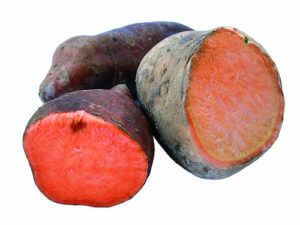 Another method is to improve the taste of nutritious crops. “It’s not just a question of fortifying plants,” Folta said. “What about plants that are nutritious but taste bad?” One example would be the commercial tomato. Many now liken its taste to that of cardboard, and research groups are working to bring its flavors back. The advantages that genetic engineering has over plant breeding in crop biofortification projects seem to be nullified by widespread public dissent. 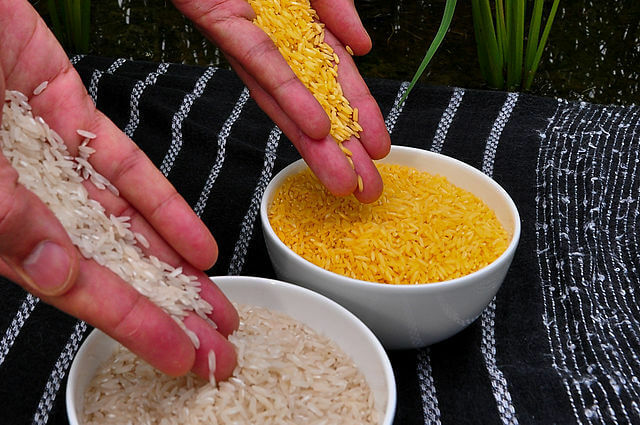 The Golden Rice project began in 1992, but it is still languishing in research institutes. Meanwhile, HarvestPlus has successfully distributed iron-fortified beans in Rwanda, iron-fortified millet in India and beta-carotene-fortified cassava in Nigeria, all produced through conventional plant breeding methods. HarvestPlus program director Howarth Bouis says that the program has already reached approximately seven million people worldwide. “At HarvestPlus we took the decision not to invest in transgenics, because we wanted to avoid the controversy,” he said. For now, it looks like they were right.